Do I need to dedicate? Good question. If we knew the answer to this in life, we could spend less time worrying about what to do, get on with the show, and never look back. Life, alas, comes without an owner`s manual, and we pretty much have to wing it. The regrets may or may not come along later - that depends on you. Fortunately, however, this article is not about dedicating your life, but rather about the more straightforward matter of making a decision as to whether or not you may need - or simply want - your own dedicated server. Imagine this! You put up a website - half for fun, half to try to make a bit of cash (this was before the dotcom storm cloud blew in over cyberspace). Nevertheless, miracle of miracles, you started getting lots of traffic, more and more inquiries about your products, and, one thing leading to another, you quit your day job and began focusing full-time on your thriving Internet business. Then you began to realize that the package you had signed up for with your web host wasn`t quite up to what you now needed. In fact, you needed a great deal more space, memory, and bandwidth. The time has come to look into different types of hosting plans, and in particular, to decide whether or not you might not need your own server - dedicated to you alone! We at HostSearch believe that the best decision you can make is an informed one. So let`s look at the different hosting options available to you first. Non-Virtual Hosting is when you lease or rent space on someone else`s server. As the name suggests, this is not even "virtual," which doesn`t exactly inspire a great deal of confidence, legitimation, commitment, or dedication. But this may be fine for your current needs - a cheap room in the back of the house. There are many sites offering cheap or even free space, and they will allow you to put your site in a sub-directory on their domain. The obvious advantage is price. This is a great way to experiment or to host a small personal or fun site. However, for a serious company, it is much better to create a more professional corporate identity on the Internet with a virtual server and your own domain name. It is definitely worth the small investment necessary to purchase your own domain name - $70 for two years. And, you and your clients need not put up with your free or cheap host`s banners, pop-up windows, or intrusive presence. Virtual Hosting is more like renting your own apartment in a complex or block. You have more privacy and your own space. And your own domain name; for example, www.hostsearch.com versus www.freewebspace.com/hostsearch. Which of these domain names would you click on first? There are additional features with virtual hosting that are also important for your company or even your own more serious site, such as an FTP, telnet, statistical packages, and POP3 email accounts. Although you have your own apartment or flat, which is nice and the most common way to go, you nevertheless are still sharing a building with others, all of whom are to some extent sharing a number of the same resources. A Dedicated Server, however, is more like having a house of your own. Your site will be served faster as it will generally only have your site on the server versus 100 or 150 other sites on a server with virtual hosting. This option may cost thousands of dollars a month instead of the twenty you pay for virtual hosting, but if your traffic and business warrant it, this is surely the way to go. Let`s take a closer look at exactly what dedicated hosting is. Dedicated web hosting is a service in which the customer leases an entire web server from a web presence provider, including the hardware and the operating system. Typically, you would receive connectivity to the Internet, redundancy measures, and monitoring. Dedicated hosting is in contrast to shared hosting, in which multiple customers share a single web server. Dedicated server solutions are for large, professional web sites with either: a great deal of traffic, secure e-commerce applications, sensitive content, non-shared web or Internet software applications hosting, or value-added resellers (VARs) and developers providing shared hosting services to their customers. Dedicated web hosting is a service that provides a high-speed Internet-connected server on an outsourced basis for individuals, organizations and small-to-medium sized businesses. The dedicated server hardware is owned by the Internet Service Provider (ISP) and leased to the customer. The hardware, operating system, connectivity, redundancy, and monitoring costs are usually spread out over the duration of the service agreement. Unlike shared hosting services, dedicated web hosting implies that a given customer has total use of the server; i.e. : it is "dedicated" to a single user - you! Why Pay for Dedicated Hosting? If your Internet business or application falls into one of the categories above, leasing a dedicated server from a web host can save you time and money in the long term, as well as reduce the risk involved with owning and maintaining the hardware yourself. You don`t have to bear the upfront costs of purchasing the hardware yourself, plus the installation and Internet connectivity costs, plus the costs of continuous monitoring and hardware maintenance. Resellers and developers can benefit from a dedicated solution since the price per account drops as the reseller adds new customers. Another important reason to choose a dedicated hosting solution is the need for large amounts of bandwidth or data transfer capacity. If you have a heavily trafficked site, you will certainly require a large amount of bandwidth each month. With a dedicated server solution, you should certainly receive a higher bandwidth allowance than you do when your site is hosted in a shared environment. Finally, and best of all, only your data is on the server. You are not sharing the memory, processor, or bandwidth with anyone else. Your server has it`s own port to the Internet. It is there to serve you. There are two platforms that are popular: Unix and Windows NT (2000). Which is better? It really depends on what you prefer and what applications you plan to use on your site. On Unix`s side is the fact that it is not owned by anybody (you know who); it is reliable, has been around for over twenty years, and supports a wide range of software, development toolkits and utilities. With respect to the Internet, it is used on almost every hardware platform. There are several flavors of Unix available, the most popular and robust which web hosts use being Linux. Windows NT (2000), on the other hand, is monopolized by a single vendor, namely Microsoft (not necessarily a bad thing), and shares the same APIs and system calls. It also has multithreaded and multiplatform support, standardization allowing easy transfer to another NT version, and strong software support with a large software resource availability. You could say it is a case of scalability (Unix) versus standardization (NT). The most popular web server on Unix is Apache and the most popular web server for NT is Microsoft`s Internet Information Server (IIS). There are two popular programming languages for Unix: Perl and PHP. PHP is a new wave wonder and has become extremely popular because it offers a way of connecting to your database very easily. The most popular combination nowadays is PHP + MySQL database. NOTE: MySQL is a free database. NT on the other hand comes with ASP (by Microsoft). ASP can be used with MS Access and MS SQL server. What kind of equipment do I get? Your choices here involve the speed of the machine, single or multiple CPUs, how much RAM, how big your hard-drive is, and whether the hard-drive is SCSI, or IDE. Also, very importantly, who pays for hardware maintenance? And don`t forget about the all-important issue of Data Backup and Redundancy. Ask if they use RAID - not for bugs (although that`s always a good idea), but for other kinds of protection. If you really want to know, RAID, short for Redundant Array of Inexpensive Disks, is a method whereby information is spread across several disks, using techniques such as disk striping (RAID Level 0) and disk mirroring (RAID level 1) to achieve redundancy, lower latency and/or higher bandwidth for reading and/or writing, and recoverability from hard-disk crashes. The numbers are not hierarchical, which is to say that RAID5 is not necessarily better than RAID0, just different. Always ask about their back-up options! The importance of this cannot be overstated, as those of us who have lost all our data at one time or another can testify! You don`t know what you got till it`s gone. How much bandwidth do I get each month? Can I pay to have more? A more technical question, but also very important, is whether your server is on a dedicated port, or on a shared port. A related question is whether the network you are connected into is based on a switch or a hub. Switched networks are higher performance, and offer more security. Ask what kind of connection(s) the hosting company has. Make sure you ask if those figures relate to their network, or the network of their provider. Be sure to ask how much of your network is utilized. A hosting company may have a couple of DS3s (45 Mb connections), but if they are 95% utilized, there isn`t much room for growth on those lines. The speed of the network will suffer because of congestion. Can I get a custom system/server configuration? How easy is it to set up my site(s) on my dedicated server? What kind of support do you offer? How easy is it to administer my site(s) on my dedicated server? Are server ports monitored? How many? Can I pay to have more monitored? How long is the contract term? How long is my obligation? Do you offer additional support at hourly billable rates? What are those rates? 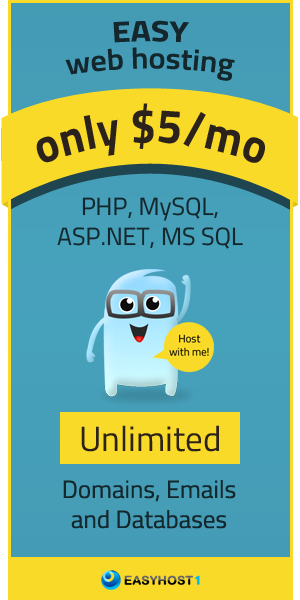 What if I want to resell shared hosting sites on my dedicated server? You got any problem with that? There is indeed a great deal to consider, and a bit of research to be done. But your time will be well spent if you find a good company that is able to meet your needs and assist you in the dedication process. Also, remember that when you search for a company on HostSearch using given criteria, your search results will contain a link to much of this information about the different web hosts. You can then compare packages and pricing and make an informed decision as to what is best for you. So, in conclusion, if you have a website and you`ve been thinking of getting a dedicated server, do some homework, look around HostSearch, e-mail or call a few companies, and ask them what they have to offer you. Finding a company to manage your dedicated server is like looking for a house. You should look for a good location, ease of access, security, size, and space, and feel comfortable with it. What (or who) you put inside it is up to you!